High Valley Cellar Gallery, 137 Ulan Road, Mudgee. 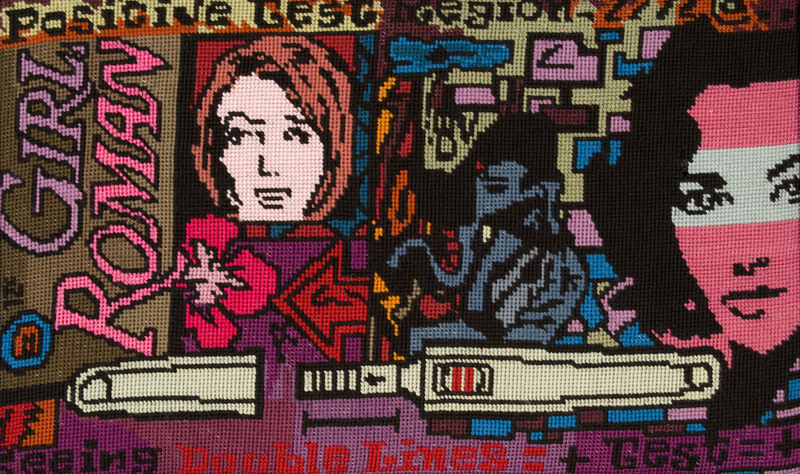 The Studio Sculptors & Urban Art by Tapestry Girl, Niki McDonald. Combining the work of the Studio Sculptor’s (member of the Sculptor’s Society) together with urban art themed tapestries and prints by Niki McDonald – Winner 2009 Waverley Art Prize. For further information and bookings please call 02 6372 1011. Exhibiton will run until October the 6th. 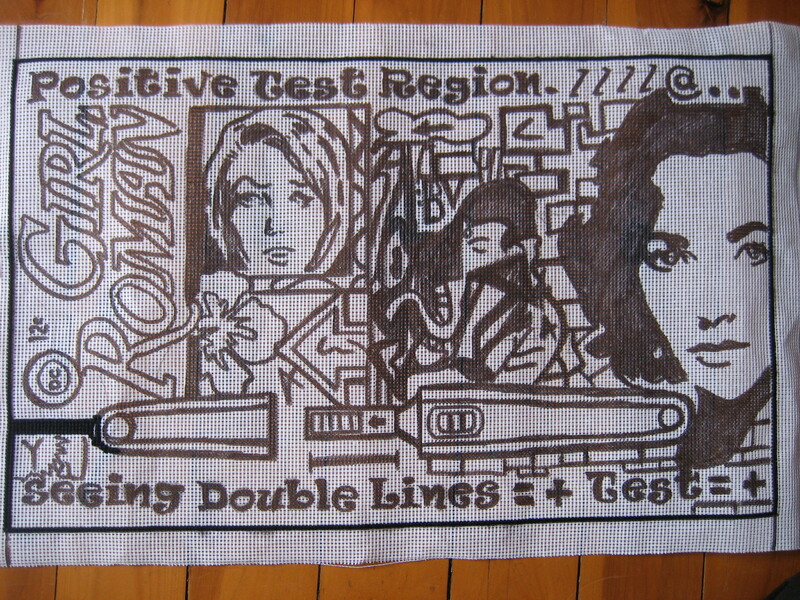 January 2009 I was in a group exhibition at Urban Uprising, I had 7 pieces in it. It was a fantastic space and the exhibition was managed so smoothly by Rod and Brian. 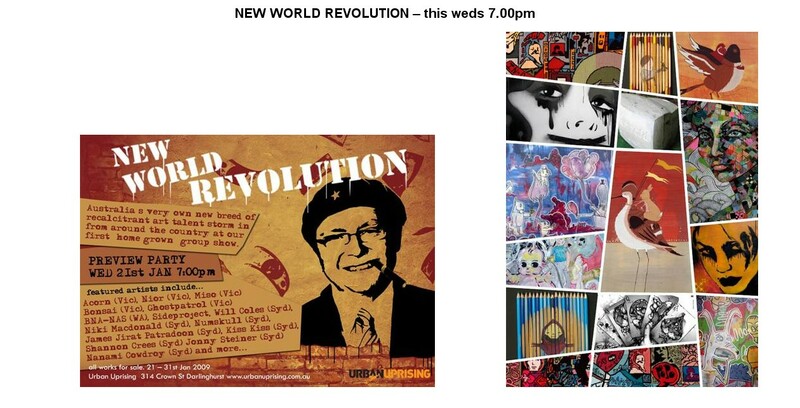 Australia’s very own breed of recalcitrant artists storm Urban Uprising on Weds January 21st for the gallery’s first ‘home grown’ group show, NEW WORLD REVOLUTION. With many of the artists showing their work in Sydney for the first time, this is an opportunity to be introduced to the work of those who are destined to appear on Urban Uprising’s walls in the years to come. Urban Uprising has invited the artists to take a break from normality and create bodies of work that cover most urban genres, creating an exciting showcase of raw Australian talent.